In the tenth pAsuram, parAnguSa nAyaki says to swan couples which move around her “You go to the abode where emperumAn and pirAtti are privately enjoying, explain my situation and bring me a message”. Subsequently, parAnguSa nAyaki prays to some swans “Go to emperumAn who is having Sriya:pathithvam (being the lord of SrImahAlakshmi) which is the cause for his supremacy and simplicity, tell him privately my situation, and bring me his message”. andharam onRuminRi alar mEl asaiyum annangAL! Oh swans coming here and remaining here who are coming along with your pleasant, best pairs and relatives, and moving around atop the flowers without any hurdle! 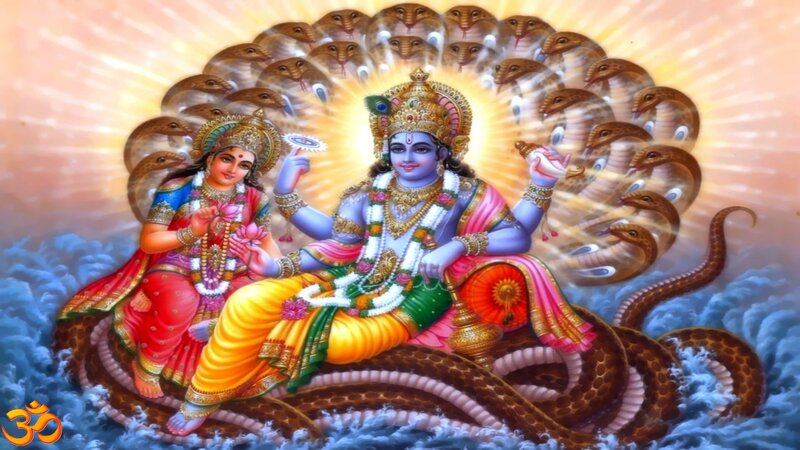 Go to the private abode of emperumAn who is the lord for those girls like me, who is having lakshmi in his divine chest and tell him a word about me “see her situation and what she has become” and tell me his reply. vandhirundhu – What a help in need! How kind-hearted you are! You did not have to be forcefully invited through iLaiya perumAL [as he angrily drew the attention of sugrIva]. vandhirundhu – Just as SrI rAma voluntarily went to sugrIva mahArAja, enquired his situation and provided a solution, you remained together during these sorrowful times. ummudaiya maNich chEvalum nIrum ellAm – Though AthmAs assume different masculine and feminine forms in paramapadham, all of those forms are meant for service to lord [not just for physical distinction]; similarly, she considers these varieties [swans, their pairs, relatives etc] to be present to accomplish her task. maNich chEval – What a beautiful [male] spouse! Her beautiful spouse [emperumAn] is staying away from her, making her become pale and still remains without any sorrow. ellAm – As said in SrI rAmAyaNam bAla kANdam 1.99 “sa puthra pauthras sagaNa:” (with children, grandchildren and relatives); like those who set out to help others along with wife, children et al. andharam onRum inRi – Unlike me who is having separation after union; not even having separation which leads to union. alar mEl asaiyun annangAL – You who are couples, are able to move atop flowers too. Your pride is such that you can step on flowers too. This is how you remain without any shortcoming. en thirumArvaRku – Am I suffering due to lack of support for me there? As said in SrI rAmAyaNam AraNya kANdam 15.6 “sIthA samaksham kAkuthstham” (He spoke to SrI rAma in the presence of sIthAp pirAtti), you inform him where your words will become worthy; you approach him like I did. ennai innavARu ivaL kANmin enRu – Her situation is beyond the scope of speech. ennai – me who desired to serve that divine couple. nanjIyar would mercifully explain “they can show her pale complexion in their body highlighting her pathetic situation”. Alternatively – tell him “Is she your privately worshippable deity! isn’t she an associate [of periya pirAtti] in your private quarters?”. [dhEvAram] archchai (deity at home) – is she totally dependent like worshippable deity at home? mandhiraththu onRu uNarththi – Don’t inform him in the grand assembly; there would be those who would say as in SrI rAmAyaNam yudhdha kANdam 17-29 “vadhyathAm” (let vibhIshaNan be killed). You inform him where her words will have value [that is while emperumAn and pirAtti are enjoying together]. uraiyIr mARRangaLE – When he replies without the same urge [like me], you, not being satisfied with that, inform in front of the one [pirAtti] who tells as in SrI rAmAyaNam yudhdha kANdam 116-44 “na kaSchinnAparAdhyathi” (There is none who has not committed a sin). onRu – the middle portion in it [ukAram]; informing my ananyArhathai (not existing for anyone else). uraiyIr maRu mARRangaLE – Hearing the words speak seeing my previous offenses, and the words she speak on seeing our relationship and my situation, and inform them to me. This entry was posted in thiruvAimozhi, thiruvAimozhi 6th centum on May 16, 2018 by Sarathy Thothathri.